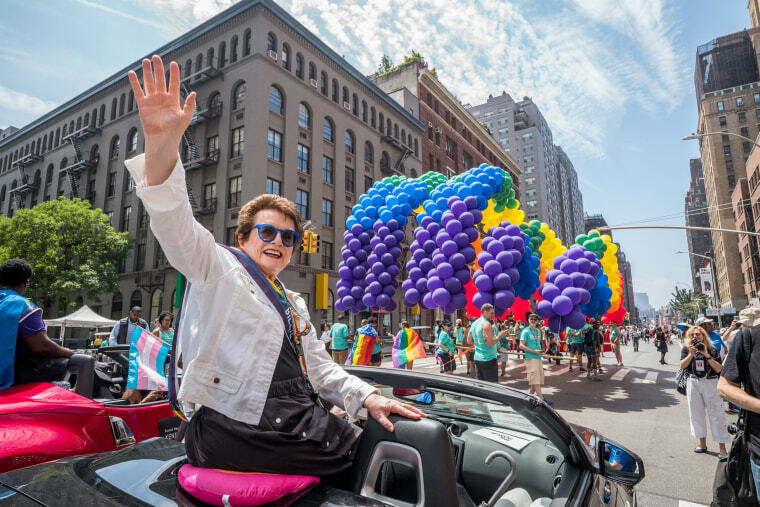 Sunday’s pride march was both a celebration of the gay community and a statement against anti-LGBTQ policies promoted by President Donald Trump. Onlookers and participants in New York noted those origins at Sunday’s event, which was both a celebration of the diversity of LGBTQ culture and a statement against anti-LGBTQ policies promoted by President Donald Trump, such as the Republican president’s attempt to ban all transgender people from serving in the military. They also spoke out against policies aimed at other communities, like immigrants and minorities. Cuomo formed the commission to come up with an LGBTQ memorial after the Pulse nightclub shooting in Orlando that left 49 people dead. In San Francisco, a weekend of gay pride events finished with the Lesbian, Gay, Bisexual, Transgender Pride Parade and March through the city. Organizers said the event included more than 240 contingents. This year’s theme was “Generations of Strength." As in previous years, the parade was led by Dykes on Bikes, San Francisco’s venerable group of lesbian motorcycle enthusiasts. The parade, which takes about five hours to wind through the city, was broadcast live on San Francisco TV station KPIX.